Lamu Island, part of the Lamu Archipelago of Kenya, is a place like no other, a peaceful tropical island where life is lived at its own relaxed rhythm, but a place whose history is as mysterious and fascinating as the winding streets of its medieval stone town. 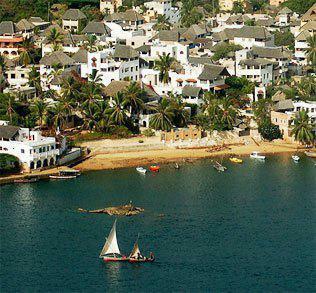 But Lamu’s real attraction is its Old town. The town of Lamu began life as a 14th century Swahili settlement, but the island has seen many visitors and influences, including Portuguese explorers, Turkish traders and the Omani Arabs. All left their mark, but Lamu developed its own particular culture, which has ultimately endured. Most visitors to Lamu come to experience the unique culture and history of the island. But there are also opportunities for wildlife enthusiasts to explore. The Palm forests and wetland areas of the island are excellent spots for finding coastal waterfowl and other birds. On the stretches of beach around the shore, populations of crabs can be seen, often swarming the sand in large number. On the arid mainland opposite Lamu, there is a surprising abundance of wildlife in the Dodori Reserve, including Buffalo, Lion and Leopard. The mangrove channels here are also good for birding and spotting the occasional crocodile. Trips to this region can be organized from Kipungani on Lamu. Lamu has a varied range of accommodation, both within town and out, and on neighbouring Manda and Kiwaayu islands. There are modern hotels, beautifully decorated old Swahili guesthouses, basic inns, isolated resorts and private homes to rent. There are no vehicles on Lamu Island. The winding streets of the towns are best explored on foot. Shela village and the beaches are also accessible by foot. Alternatively dhows regularly carry paying passengers back and forth from Lamu town to Shela. Lamu is the perfect place for a beach safari with a difference, a truly unique destination that lingers long in the hearts of all who visit. The island, just of Kenya’s far North coast, is a place of great natural beauty, with long deserted beaches framed by rolling sand dunes and the deep blue waters of the Indian Ocean. The real attraction here is the islands’ fascinating history, a long and exotic tale that draws the visitor back into the world of the 14th century. Lamu has developed a culture drawn form many sources, and in the streets and markets of the old town, life continues unhurried and unchanged by outside influences. The history of Lamu was born from the great trade routes of the East African Coast, and the sea remains an integral part of life on the island. The waters of Lamu are plied by great numbers of traditional lateen sailed Dhows. These craft are an integral part of life on the island. A day spent at sea on a Dhow is a wonderful experience and a fantastic way to explore the area. The calm waters around Lamu make are perfect for sailing, and the neighbouring islands are well worth visiting for their small fishing villages, ancient ruins and deserted beaches. After a day on the water, you sail back to Lamu town as the setting sun turns the ocean to gold. Longer Dhow safaris throughout the entire Archipelago can also be arranged. Most hotels and guesthouses, as well as private Dhow captains, can organize a day cruising on a dhow. Private Dhow trips from Lamu often visit good snorkelling sites, and provide equipment. There are a few good dive sites to be found around Lamu and the surrounding archipelago. Diving is relatively new to the area, so there is a great bounty of quality sites are waiting to be explored by the adventurous diver. Big game fishing can also be arranged from Manda Island or by some hotels in Lamu in season (December – March). Kenya’s main coastal game fish include Sailfish and Marlin, Kingfish, Wahoo, Horse Mackerel and others. A tag and release program ensures eco-friendly fishing. 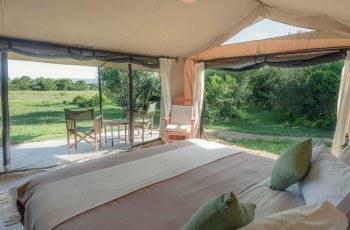 Bookings for these trips can be made through some hotels in Lamu. Lamu is place where exploration brings plenty of reward, whether in the winding streets of the old town or on board a dhow on the open ocean. During the Islamic Festival of Maulidi, held each year around the month of June, several special sporting events are held in Lamu. The main event is a donkey race along the waterfront, running the entire length of the old town. Lamu residents are accomplished Donkey jockeys, and victory in this annual race is a much coveted title. The race attracts most of the townspeople, who gather along the waterfront or anchor offshore in dhows to watch the action. Both riders and donkeys are well prepared for the event and the competition is always fierce, with each competitor attracting their own loyal local supporters. The race day is a major event in the Lamu calendar, and there are plenty of festivities and celebrations both before and after the big event. Often dhow races are held around the island during the same period. On January 1st, the residents of Lamu celebrate the coming of the New Year with a Dhow Race. This event is an important annual event on the island. Lamu Dhow builders are considered some of the best on the coast, and this is a culture born of the sea and sailors. This makes the race the most important sporting event on the island. Winning the race is a great honour among Dhow captains, and the race attracts the best of the best. Like the annual Donkey race, this event brings the Island to life, and the shorelines throng with supporters. Individual Dhows are brightly decorated, and festivities on race day last well into the night. 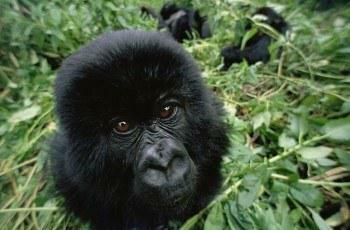 Uganda Gorilla Trek: One or Two?